Zayo announced a major colocation contract with a global infrastructure as a service (IaaS) (IaaS) provider for space and power in a zColo East Coast data center. The solution, which includes approximately 2,000 square feet of space and multiple hundreds of kilowatts of power, will serve as a virtual extension of one of the company’s facilities in the Southwest. The space and power will support the customer’s mission-critical processes. 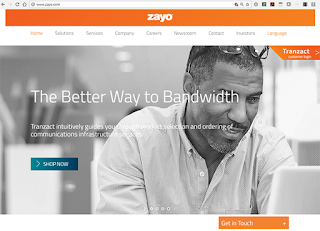 Zayo announced that a major international bank has selected it to provide wavelength connectivity for a network expansion project in the U.S. and need for future capacity requirements. 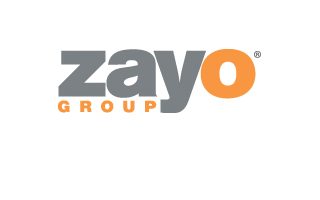 Zayo is postponing its Analyst Day scheduled for March 14, 2019, in Boulder, Colorado. The company said its Board of Directors is "currently evaluating strategic alternatives that may enhance shareholder value." Zayo confirmed that it has been selected by a webscale customer for multiple 100G wavelengths along Zayo’s Dallas to Los Angeles 2,000-mile fiber route that was completed in August 2018. The company described the deal as one of its largest recent waves deals in terms of capacity. Zayo also noted that the deal is another follow-on sale on this high fiber-count route, which enables unique options between Los Angeles, San Diego, Phoenix, Tucson, El Paso, Ft. Worth and Dallas. 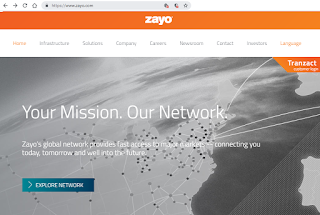 Zayo announced a major contract with a global technology company for a dark fiber connecting key markets nationwide. The contract covers thousands of miles of Zayo’s extensive dark fiber networks across multiple regions in the U.S., including the recently announced Columbus, Ohio to Ashburn, Virginia and Dallas, Texas to Atlanta, Georgia routes. 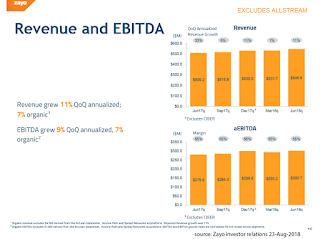 Zayo said the high-count fiber solution represents one of the larger long haul dark fiber contracts of 2018. Zayo will open a data center in Piscataway, New Jersey and has signed an anchor agreement with a leading financial services tenant. The contract includes space and power in the data center and two dark fiber rings. Zayo said its new carrier-neutral facility will add more than 47,000 total square feet and up to five megawatts (MW) of critical power. 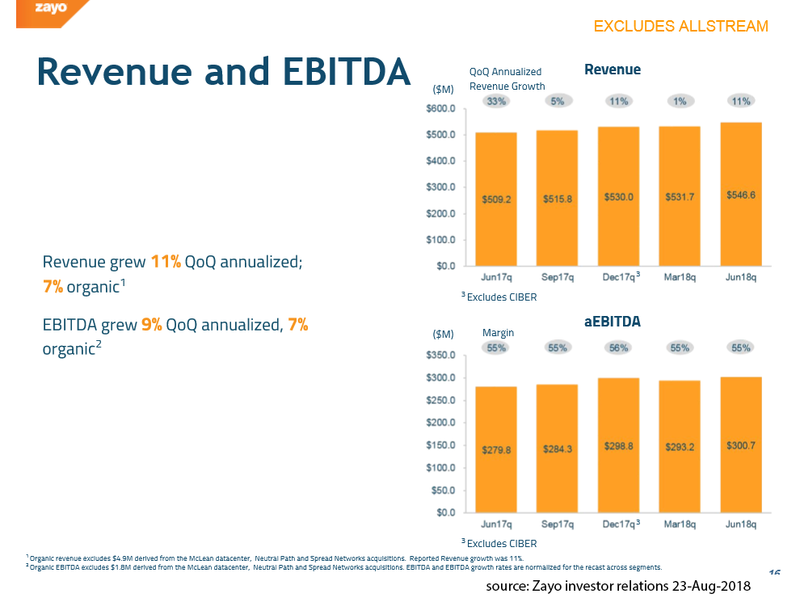 Zayo will renovate the remaining space and upgrade critical power to sell to additional customers. The facility tethers to Zayo’s data center at 165 Halsey St. in Newark and includes connectivity to local carrier hotels and more than 1,000 data centers globally. Zayo announced plans extending and upgrading a new 500-km fiber ring in the UK to enable its multinational customers to traverse the country via the most direct, low-latency paths and to provide access to the UK’s latest subsea cable crossings in both the Irish and North Seas. As part of the project, Zayo will increase the overall fiber count on its existing UK network, and add two new unique routes, spanning from coast-to-coast, in order to complete the ring. The deployment will use high-count, ultra-low loss fiber types, built over the shortest physical paths. Work is expected to be completed in less than 12 months. 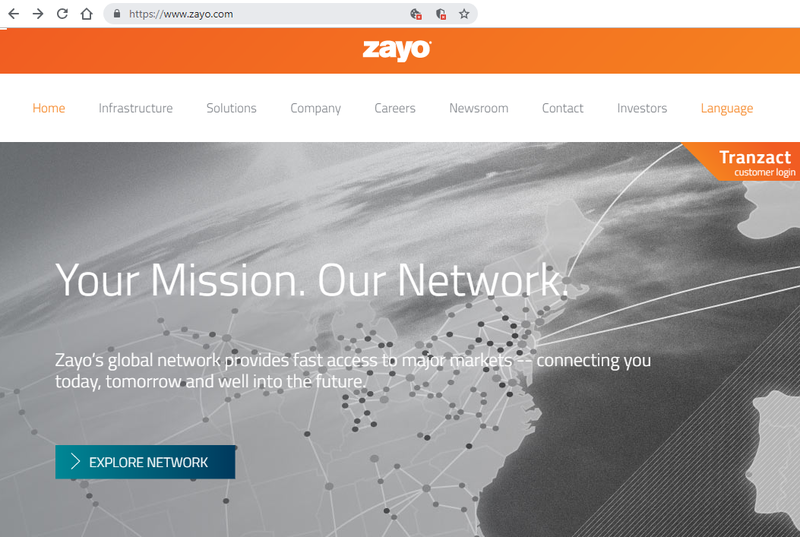 “Our continued expansion underscores our commitment to Europe and provides opportunity for customers who can benefit from our fiber network, data center footprint and extensive connectivity across our global network,” said Annette Murphy, Managing Director of Zayo Europe. Zayo disclosed plans for two new unique, low-latency long haul dark fiber networks from Columbus, Ohio to Ashburn, Virginia and Dallas, Texas to Atlanta, Georgia. The company said the expansion is backed by a signed customer commitment and that it saw the opportunity for additional strategic customers looking for wavelength and fiber connectivity between these cities. The Columbus to Ashburn network expansion, which will traverse West Virginia and bypas major regional congestion points, will add approximately 400 route miles of high-capacity fiber and is expected to provide the lowest latency between the two cities. The 870-mile Dallas to Atlanta route will connect these two key metro markets with the most direct, lowest latency route to date. 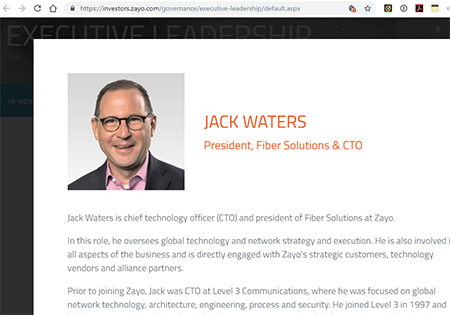 Zayo announced a contract with a major retailer to connect its core and edge data centers across the U.S. with fully diverse 10G and 100G wavelengths. Financial terms were not disclsoed.